I find the ideal mix to be 60% beer and 40% lemonade, the resulting drink lets the beer come through while allowing the freshness and tartness of the lemonade to compliment the beer. A key to this drink is adding the lemonade second. If you add the beer second it will float on top of the lemonade. 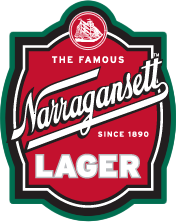 Narragansett Summer Ale has been my go-to beer of choice, the Citra hops come alive with the addition of the lemon and, honestly, I could drink these all day. And that’s the thing, you can drink these all day. 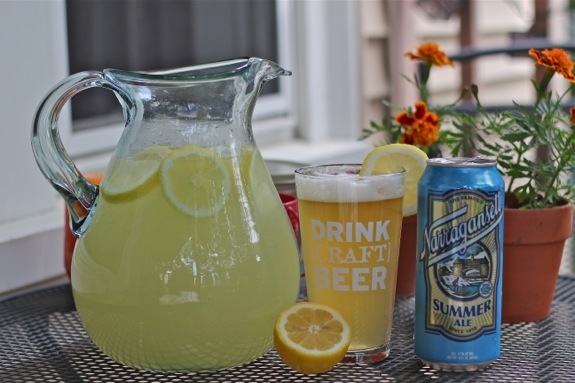 With the lemonade addition a pint is around 2.5% abv making it the ultimate session beer. The lemonade makes all the difference, though. If you go the store bought route Simply Lemonade brand works quite well. If you’re planning ahead, though, making a pitcher of lemonade will not only make the drink better but it’s a great way to serve an easy drink to guests. A shandy in the UK is beer and ‘lemonade’ but over there lemonade is just a name for Sprite or 7-Up. So….